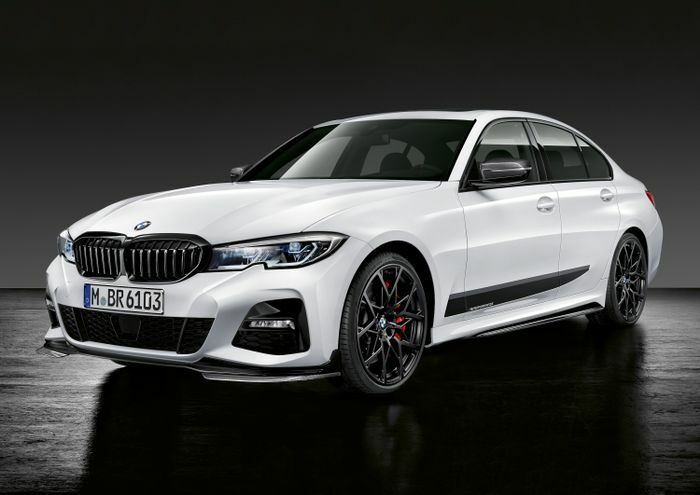 For better or worse, the ‘G20’ BMW 3-series is already quite a punchy-looking thing in M Sport trim. 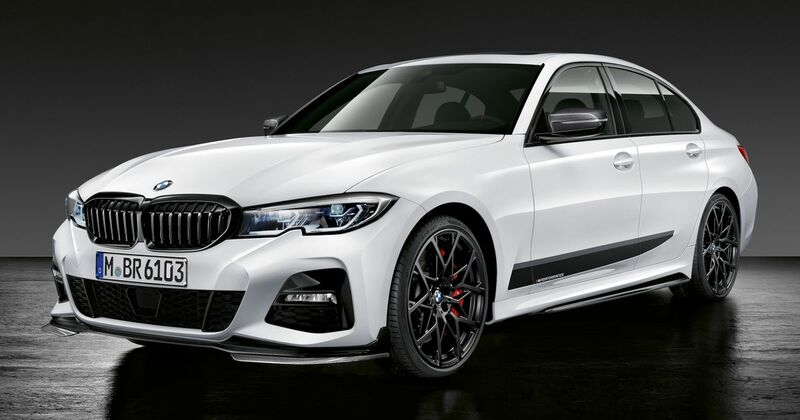 But, if you think it needs a little more presence, we’ve good news: BMW has already revealed a whole bunch of M Performance parts for the car. In fact, the entire G20 M catalogue has been lobbed at this one car, creating a rolling showcase for all the various interior and exterior trinkets available. 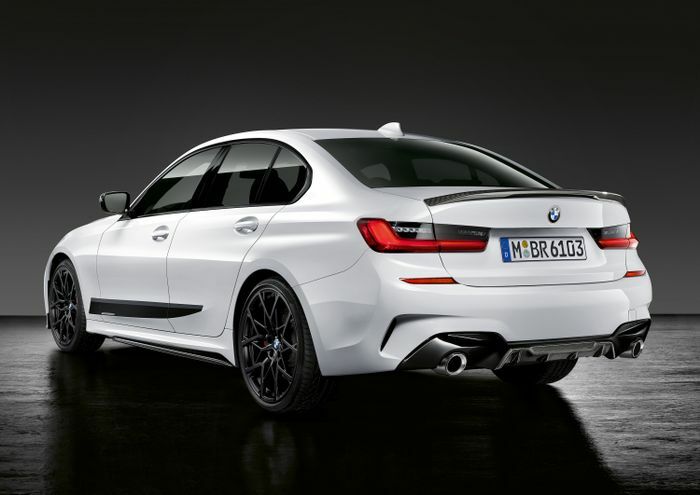 There are 10 new carbonfibre aero pieces, including a rear spoiler, rear diffuser, and a front splitter. You can further spruce up the exterior with side sill ‘films’ and tinted rear light clusters, should you fancy. Fancy some spangly wheels? There’s one set of 18-inch rims available, plus two different 20-inch designs which can be specced with various different finishes. 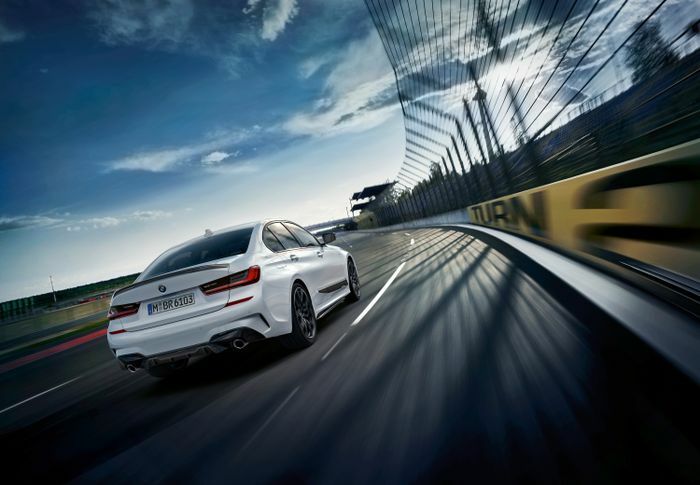 Go for bigger rims, and it’ll be possible to option the M Performance braking system. Do that, and you have some lovely 18-inch grooved and perforated lightweight discs, squeezed by calipers (with four pistons a the front) that are - of course - painted red. For those who have a separate set of wheels and tyres for winter, there are even M Performance-branded tyre bags on the menu. Nice. The G20’s interior certainly doesn’t escape the M Performance treatment. 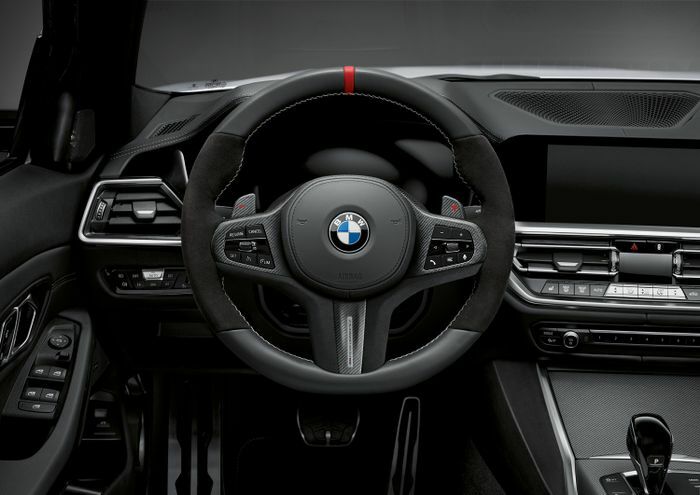 The most obvious change is the Alcantara-clad M Performance steering wheel, complete with a because racecar 12 o’clock red centre marking and optional carbonfibre paddles. Elsewhere, there’s additional carbonfibre trim and some M-branded floor mats. Keen to bore your friends about your latest track day? You’ll be wanting the ‘M Performance drive analyser’, an OBD stick that communicates with a smartphone app to provide “driving dynamics data”. You can even get an M Performance action camera holder to help you capture your best/worst helmsmith moments. Given the choice, which of these bits and pieces would you spec on a G20?